What if there were no barriers to your brand design? What if you could experiment freely with no risk? These are some of the questions we asked ourselves when we approached neuromarketing research firm True Impact to collaborate on a first-of-its-kind approach combining neuroscience with augmented reality and virtual reality (AR and VR) that will revolutionize retail and packaging design. We design realistic retail environments using 3D technology that are visualized on AR and VR devices to allow clients to experience the retail concepts before physical prototypes are built. 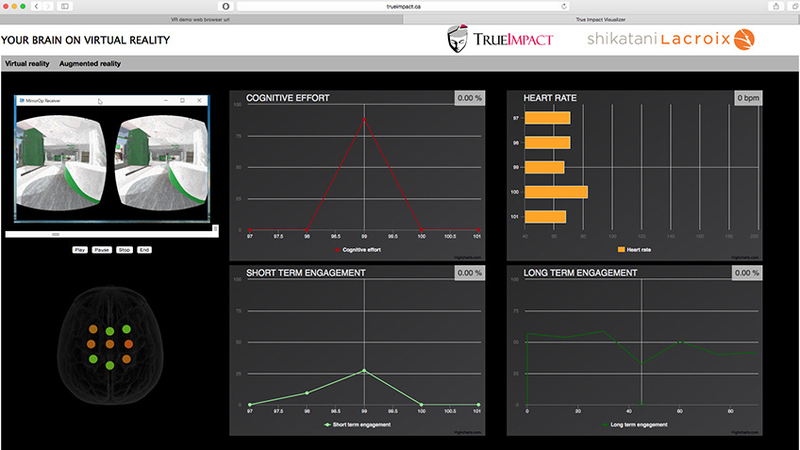 To validate the effectiveness of these concepts, we partnered with True Impact to accurately measure a consumer’s emotional response to the AR and VR environments using neuroscience technology. 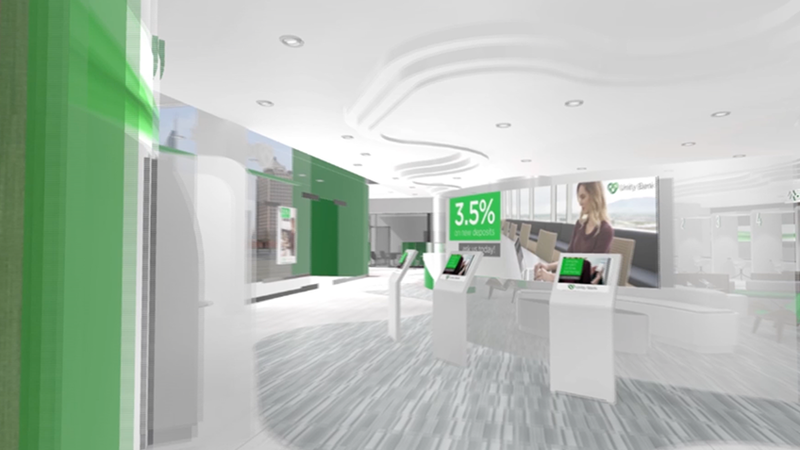 After testing a retail bank concept in VR and AR, the initial research findings revealed impressive insights. Measuring cognitive effort, short-term engagement and heart rate, it was observed that the heart rate correlated well with movement in VR as if the test subject was actually walking around the retail space. This indicates that the brain adopted the experience as reality. In our AR findings it was discovered that a clean line of sight is key to helping a customer achieve their objectives, and discontinuity in a space should be bridged by a repeating design. In our VR test environment we observed that feature design elements spike interest and engagement, environments with many design elements increase cognitive effort, and engagement length increases in high contrast areas. The tests also measured positive reactions to various architectural and décor elements, which indicated that the space was engaging. Would you use AR and VR to peek inside your customers’ heads? How would that impact your retail design? Let us know in the comments below and subscribe to receive the latest Shikatani Lacroix insights in your inbox.